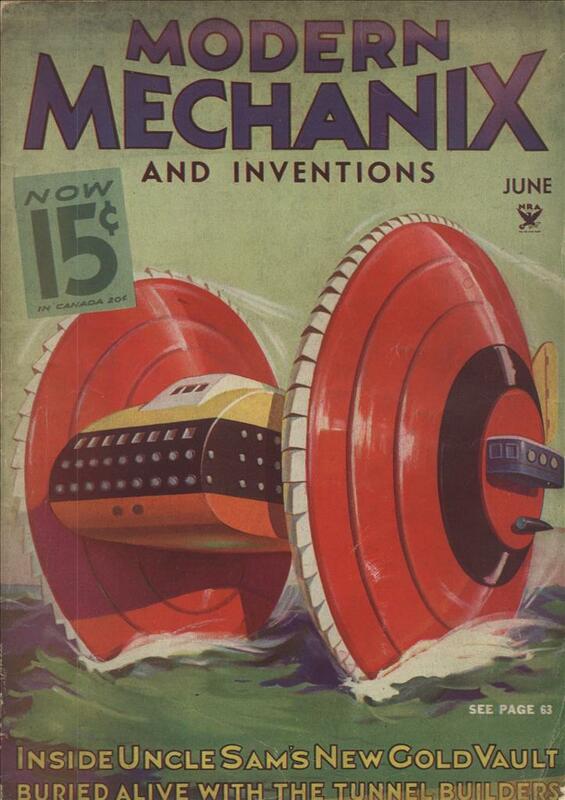 COOLING big cities by means of underground air ducts has long been the dream of inventors and sweltering citizens alike. A plan is now being seriously considered by a Chicago scientist, Dr. Gustav Eglov, of the American Chemical Society. 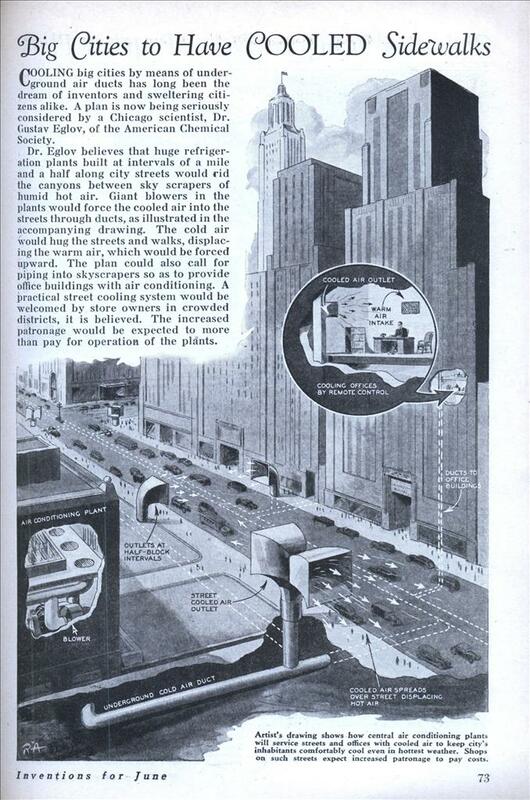 Dr. Eglov believes that huge refrigeration plants built at intervals of a mile and a half along city streets would rid the canyons between sky scrapers of humid hot air. Giant blowers in the plants would force the cooled air into the streets through ducts, as illustrated in the accompanying drawing. The cold air would hug the streets and walks, displacing the warm air, which would be forced upward. The plan could also call for piping into skyscrapers so as to provide office buildings with air conditioning. A practical street cooling system would be welcomed by store owners in crowded districts, it is believed. The increased patronage would be expected to more than pay for operation of the plants. Air conditioning doesn’t get rid of heat, it just moves it around. A conventional air conditioner always has a big unit outside that’s putting a lot of heat out; likewise, a refrigerator exhausts hot air into the kitchen. So where do these systems dump their waste heat, if not back into the city canyons? Awnings or shade trees over the sidewalks can actually prevent some of the sun’s heat from reaching the pavement. They’d at least increase the efficiency of this scheme, if not eliminate much of the need for it entirely. But those old low-tech solutions are completely absent in the drawing. The hot air would be pumped into giant insulated balloons which would then be stored until winter and used to heat the sidewalks. Suprisingly a part of this idea has suvived in another form. In in Doha, Qatar a central cooling system (QCool) pumps chilled water around to the Office Towers to run their Air Con. I guess a centralised system is more effecient than individual units. I would still like to see more use of Ice based coolers that make Ice during the night when air temperatures and electicity demands are down and blow the air over the blocks during the day.